Lucas Lloyd, a relative newcomer to the Buffalo theater scene, is originally from Oak Ridge, Tennessee. He’s been acting since he was nine years old. At Lee University, a highly regarded, faith-based liberal arts college in Cleveland, Tennessee, Lucas earned a bachelor’s degree in Bible and Theology with a minor in theater. Seeking to expand his artistic horizons, he moved to Boston, Massachusetts in 2006, where he picked up a great deal of experience as an actor—though directing is his primary interest. In Boston, he performed with 15 theater companies over the course of six and half years, playing such roles as Tom in Glass Menagerie, Jerry in Zoo Story, and Paul in Barefoot in the Park. He also directed several short works as part of the SLAMBoston Festival, and William Nicholson’s play Shadowlands, about the relationship of C. S. Lewis and poet Joy Davidman, for the New England Repertory Company. 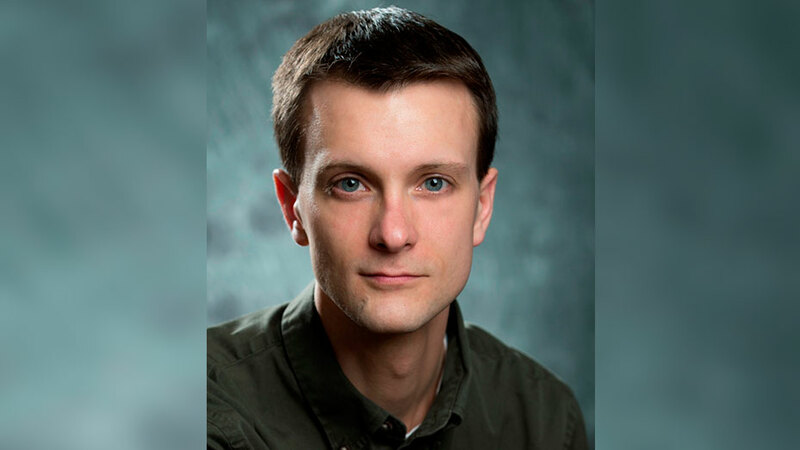 He came to Buffalo in February 2013, and almost immediately began working as a stage manager for Road Less Traveled Productions, stage-managing every show of their 2013-2014 season and becoming an RLTP Ensemble member. He performed in a series of one-acts with ART of WNY as part of the Infringement Festival last past summer. Currently, Mr. Lloyd is appearing in The Guns of Christmas, a new play written and directed by Gary Earl Ross, at Subversive Theatre Collective that imagines the legendary Christmas Day Truce along the Western Front of World War I in 1914. In this real-life incident —previous to the advent of mustard gas and the execution of nurse Edith Cavell—small cease-fires were instigated by German troops and soccer matches were subsequently instigated by British troops. Mr. Lloyd plays Percy, the conflicted young officer who negotiates for the British side. The lean and good-looking actor distinguishes himself in this, his first leading role in a full-length play in Buffalo, with a focused and affecting performance. This spring he will appear in Angels Fall at the New Phoenix Theatre. Lack of faith. Percy is full of guilt from his perceived transgressions, and having no foothold in faith, can find no absolution. What quality in your current role is most like your own personality? This is a very personal question. But I am always happiest when I feel that I am in the center of God’s will for me. That often comes when I am feeling the love of others, or sensing the love of God. Other times it happens when I am filled with a sense of mission, and can pursue that mission with all my energies. To those ends, I am very happy right here and now, working toward my calling, experiencing great things, building new relationships. Being emptied of any sense of love or meaning. Perhaps that in the end, I will prove to be too undisciplined or reserved to make good on my own potential. Singing, in that leading-man kind of way. What trait do you most dislike in others? The tendency to attack others, or carelessly tear them down, when they think or live differently, to see them as “other,” as the enemy or as lesser-than, instead of to value, to listen, to know, and to understand. Honesty/openness, and the mutual desire to strive for excellence and goodness (in craft and in life). Watching sports (and reading sports articles; this season it’s been college football). Maximus Decimus Meridius [the character played by Russell Crowe in Gladiator]. My parents; my brother; David of Bethlehem. When I perceive that my audience would be harmed by the truth, or would use the truth to harm others. Someone more childlike and open-handed. The most important things are the invisible things, the eternal things.